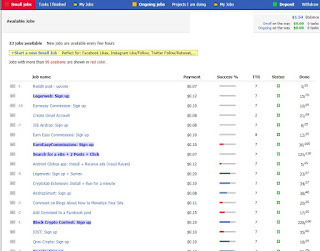 The most things you do online is signing up to various sites to check for information, use certain features, subscribe to a mailing list or other various things. What if you could get paid Bitcoin to do that? Picoworkers let you do exactly that. After signing up confirm your email and you are set to earn! Visit the small jobs tab. on that page you get to see a lot of jobs that need completion. Breaking down the information brings us to a couple key points. The most important part, payment is for how much you get for completing the task. Succes is for how many succeeded. The bar is totally green when everyone that signed up succeeded. TTR is Time To Rate. This is the amount of the time the advertiser has to check if you did a good job. If the advertiser fails to rate, you automatically get your money. Status green means the job is live and you can complete it. Red means it is paused or out of places. The other parts are pretty easy to figure out. Done is for how many the job did already and how many spots are open. You can also do ongoing tasks. When you do ongoing tasks you get tasks every day, week or month and you get paid every time you do the job. This is a trusted relationship between you and the advertiser, since you have to come back every time to complete the task. These tasks can include writing, audio transcribing, testing games and more. If you are in need for your own sign ups, because you need them for a site, or need a small job done you can do that too. The small payments make it easy for advertisers to get a job done, be it signing up or testing various software, since the users are more then willing to help you fully for a small incentive. You can also use the site to boost engagement to your social media, since picoworkers usually use their own accounts to like Facebook posts or for example watching and liking Youtube videos. 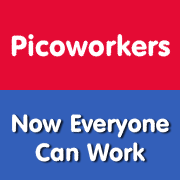 Picoworkers offers a simple affiliate program, which pays you for sign ups. For every job completed you get 5% on top of what the user makes. 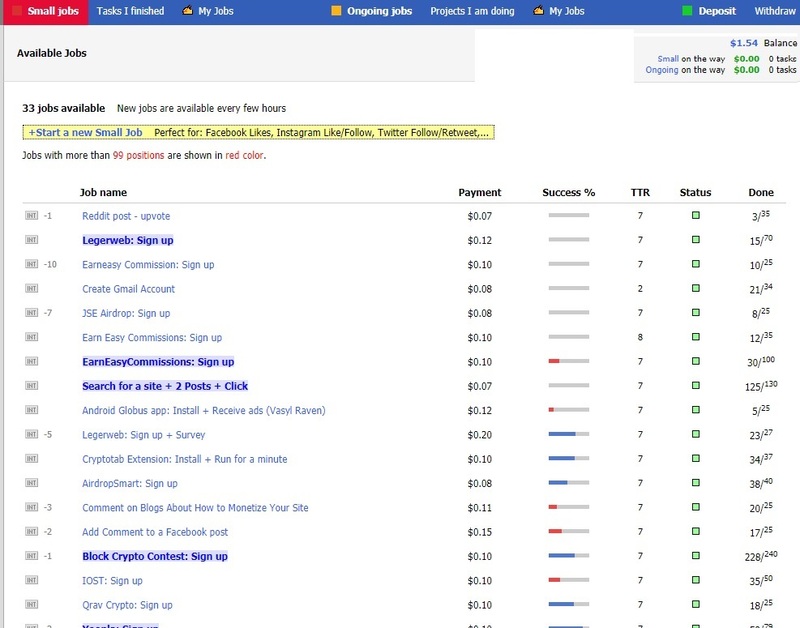 So if the person that signed up below you makes $1, you earn 5 cents on auto pilot. Dont have to do anything for it! When a member makes a deposit of $1 you also get 5 cents from it. Its a nice reward for recommending this to friends or social media. I received money from Picoworkers multiple times. I redeemed both Paypal and Bitcoin from the microwork site. Picoworkers.com is not a scam. Yeah, I'm a member of this website and there are many other ways with think wewcan earn crypto by completing different tasks online. Thanks for sharing more about it. I am also a member of this site and I am particularly working on the small tasks since it is convenient and easy for me to work. I just recently visited the site and have some offers on my account which is really great to have. I tried sign-ups for referrals many times, there was a mixed result. Sometimes I got, sometimes not. Now I'll get with youtube; Picoworkers might be good, I'll wait for more results. I am a member of this site and it's pretty useful for micro tasks. It all depends on you if you like to work on the jobs or not. If you can't do the job then you can just back out and no harm done. I have been registered on this page for several months, but I have not entered there for some time, I find these details interesting that you share and I will give me a pass through there to know these developments, thank you for this information. Really good to know about this new website where it has cool offers for Affiliates to make some decent commission other than their earning. Thank You! I love earning money by completing microtasks. I have accounts with other websites but not yet with Picoworkers. I will definitely sign up right now. Thank you for sharing. Wow the SITE is new to me thanks for making a review surely I will try this one and will discover what is the advantage of them. Will recommend this to my friends to HELP me out for review.